Please refer to our stock # 0004cm when inquiring. 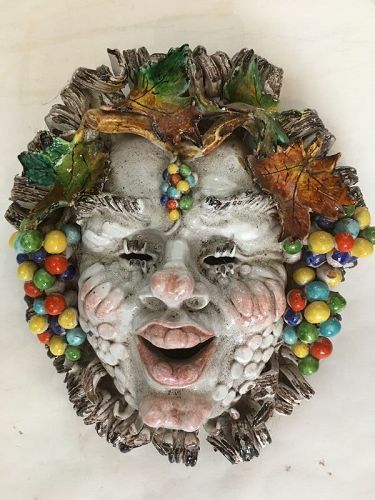 Ceramic mask after Italian professor Pattarino. Male face with vine leafs and colored grapes. H/12 W/11 D4.1/2.